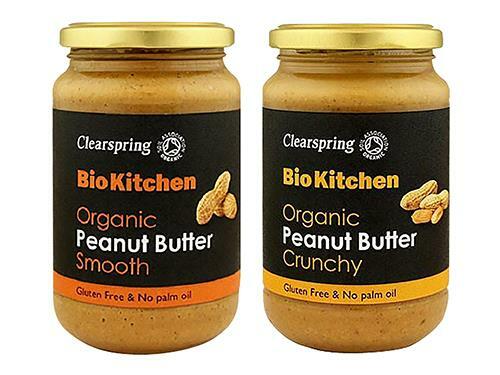 Clearspring Smooth and Crunchy Peanut Butter is made from 99.4% peanuts and sea salt. Organically grown and free from wheat, gluten and palm oil. Suitable for kids and adults including vegans. Suitable as spread on bread/biscuit and can be used for baking. Rich in Vitamin E, Folic Acid, Phosphorous, Manganese, Thiamine, Niacin, Protein and high in fiber and unsaturated fatty acids. Best stored in room temperature and refrigerate once opened.